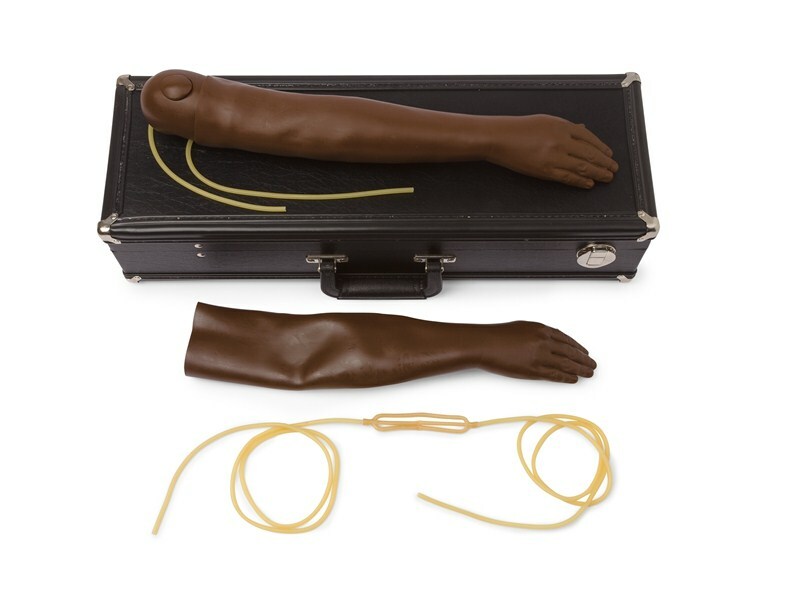 Lifelike pediatric arm reproduction in brown skin tone with replaceable skin and multi-vein system designed for peripheral intravenous therapy. *Replacement skin and multi-vein system to fit this arm is available for purchase using catalog number 375-70150B. *Multi-Venous IV Arm Kits are also available in adult male (270-00001B) and adult female (375-50001B) versions.